Robert M. Williams first became fascinated with the Titanic when his grandmother presented him with a book titled, "The Sinking of the Titanic and Other Great Sea Disasters", written in 1912 by a Marshal Logan, when Williams was just 8 years old. Since then, he has spent his life learning about the ship and collecting everything Titanic related under the sun. To date, he has made two dives to the notorious wreck. The first just to see it, the second to gather more information on his developing theory on the true causes of the Titanic disaster. In June 2005, Williams returned from his deepest ocean dive to date…. Diving 4,670 meters to the wreck of the German battleship Bismarck. A dive that is almost a mile deeper than Titanic and to a wreck that very few people have visited. 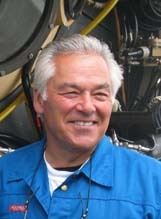 Williams continues to relate his and other deep ocean diving experiences through numerous lectures to schools, service and civic organizations, educational groups, and clubs. 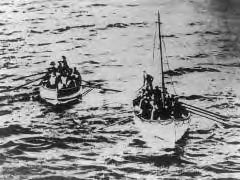 His Titanic adventures have been featured in major city newspapers and national publications and have been chronicled in the October 2001 issue of “Forbes Global” magazine and the Spring 2003 issue of “Forbes FYI” magazine. Impressions of his 2001 Titanic visit are also contained in the recently released Forbes book, “To The Limits – Pushing Yourself to the edge – In Adventure And In Business” written by James Clash. This web site allows you to follow Williams on all of his journeys. Dive 2 1/2 miles down into the cold North Atlantic to visit the TITANIC in its final resting place! Journey back in time to visit a grave site that that is almost a mile deeper than Titanic and sadly had a greater loss of life…. the wreck of the German Battleship BISMARCK! Venture down approximately 8,000 feet below the ocean ‘s surface to visit an Ecosystem that few have had an opportunity to see! These dives also sparked a new inspiration for the value of sea life and the necessity for further deep sea exploration. Here you can learn about how he’s helping to expand our knowledge of the marine environment through involvement with Florida based Mote Marine Laboratory. Williams was accepted as a full member of The Explorer’s Club on December 6, 2003.